1 edition of Fantastic Stories Presents the Planet Stories Super Pack found in the catalog. Add another edition? 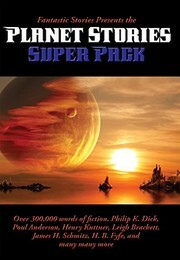 Are you sure you want to remove Fantastic Stories Presents the Planet Stories Super Pack from your list? Published Sep 30, 2016 by Positronic Publishing . 2 seconds ago Created by ImportBot Inital record created, from an amazon.com record.